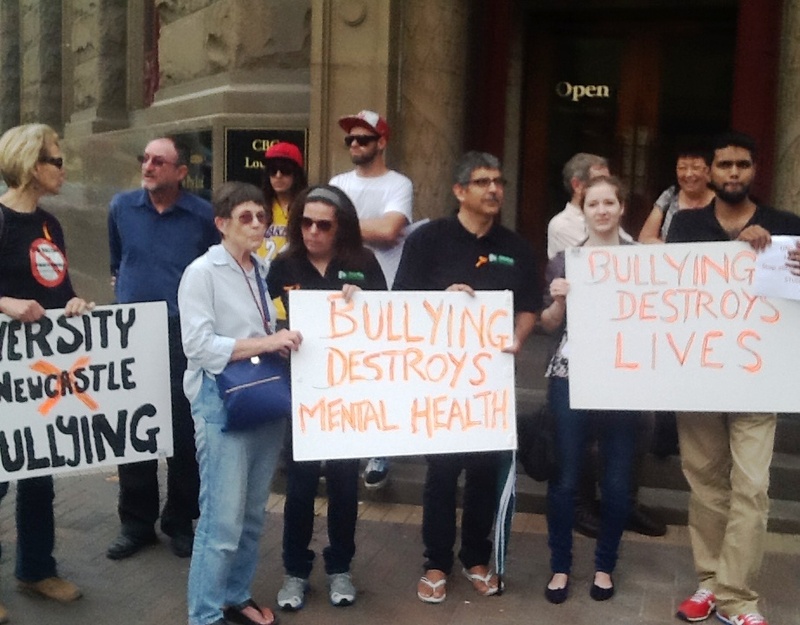 Today a peaceful anti-bullying rally was held in Newcastle on the steps of the building where Michelle Adams was to have her mediation heard against Newcastle University. Students and Staff of the University of Newcastle hold a rally in support of one of their number who's mediation against the University was to be heard in Newcastle on the 15 March 2013. The rally went ahead, but Michelle was not there. Newcastle University had heard of the support for Michelle and had insisted that the mediation be moved to a secret location an hours drive out of Newcastle. Apparently they said they feared for their own safety because of the rally. In my opinion they simply wanted to isolate Michelle from her growing support group. But, judging by the growing number of students and staff at the University of Newcastle who are speaking out about bullying, the University of Newcastle has been put on notice. 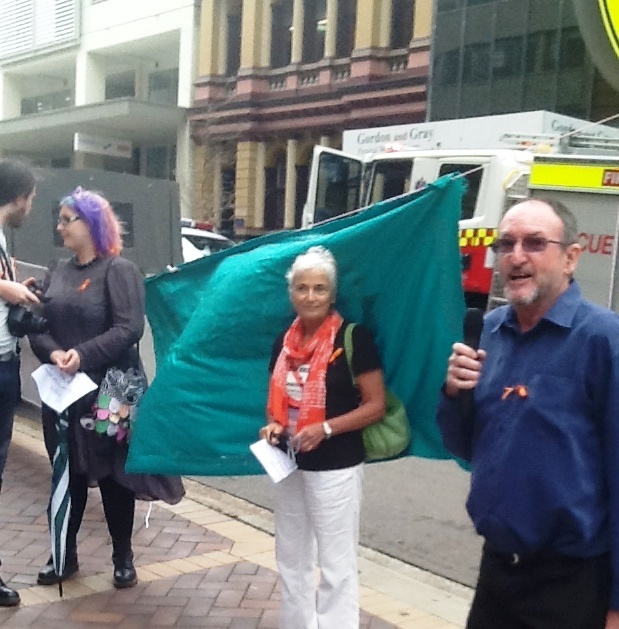 Dr Michael Cole was one of four speakers at the anti-bullying rally that the University of Newcastle was keen to avoid.